For South African property investors, America is an appealing destination as it’s also an English-speaking nation and if you invest in property through an EB-5 investment vehicle you can reap the benefits of having a Green Card too, which includes free movement of family members, investment opportunities as well as access to prestigious universities. The US also provides many financial, social and education entitlements, public schools, health and medical care options, social security and higher education. The American EB-5 investment visa program was created in 1990 in order to stimulate the U.S economy and provide eligible foreign investors a means to gain a Green Card. There are three criteria to meet: the investment must be $1 million USD ($500,000 – nearly R7.2 million – for qualified areas), the immigrant investor must also show the funds invested were earned lawfully, and the investment project must create at least 10 jobs for per each investor in the project. 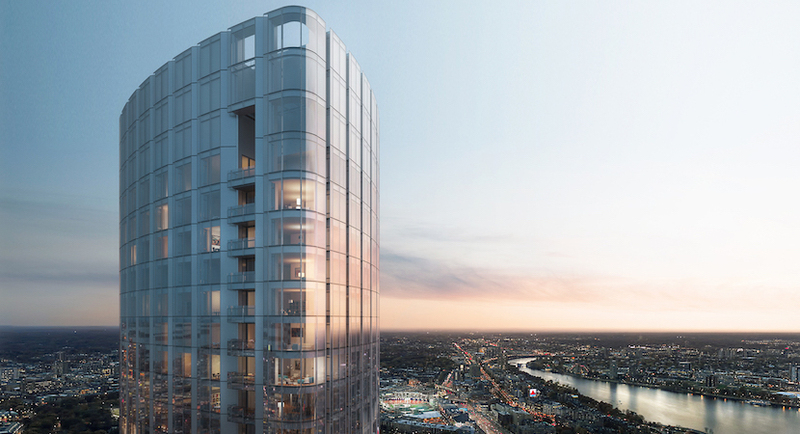 The One Dalton, which will offer the option of a hotel and plush private residences, will be finished next year predictably by the second quarter of 2019. However, the EB-5 loan term is five years, making it an ideal short-term investment with a nominal return but with an American immigrant visa – residency – and the benefits that go along with having one. Colleges and universities are often generators of hotel and residential demand from professors, speakers, trustees, touring sports teams, visiting parents, and prospective students. Boston is no exception as it offers this platform too. It’s dubbed ‘the nation’s college capital’ because it has a strong economy, low unemployment, and is home to the most prestigious universities in the world. There are over 50 colleges and universities located in the metropolitan Boston area including world-renowned institutions such as Harvard University, Massachusetts Institute of Technology (MIT) and Tufts University. As the premier hotel brand in the world, The Four Seasons’ One Dalton brand will be sought after as a provider of accommodation for local as well as visiting academics. It’s not just the academic fraternity that will be keen to live in accommodation such as the one the Four Seasons’ One Dalton provides. More people want to live in urban high-rise settings because they see the benefits of the views and vantage points. Many are also becoming more environmentally aware and want to ensure that their property investment reflects that. Vertical buildings don’t take up a large footprint, so this suits the environmentally conscious city dweller. Taller buildings are also typically closer to work and in areas where most of the main amenities are available. The One Dalton will also appeal to tourists that want to enjoy some luxury and style while they visit Boston. Boston has a lot to offer so it is no surprise that it is among the top 10 most visited cities in America and more than 20 million tourists were recorded in 2017. American cities like Boston are seeing an uptick in employment. Total non-farm employment in the Boston-Cambridge-Nashua metropolitan area stood at 2,625,600 in February 2016, up 46,800 from the year before so it’s understandable that people are flocking to the cities like Boston to access jobs. If you’re invested in the EB-5 opportunity you will be able to tap into this need for jobs. Under EB-5 rules you need to create at least 10 US jobs, but you should have little concern to meet this criterion through the One Dalton project as it has already created over 4,542 jobs and continues to create them. This amount is much greater than the number of jobs needed for the investors for this project. With such a high number of jobs created, this minimizes the job creation risk as much as any project can. It’s rare that one city provides so much opportunity for property and EB-5 investors, but Boston has a number of attractions, activities and institutions that guarantee that tourists, academics and other visitors come back for more. This is why we believe Boston is, and continues to be, a thriving city and offers a viable EB-5 investment vehicle. To find out more about PathwaysEb5’s regional project One Dalton in Boston and investment opportunities visit.